The US banned lead in paint in 1978. The U.S. Food and Drug Administration promised it would conduct an investigation, but dragged its feet. It took nearly two years, pressure from consumers and a letter from three U.S. Senators, but in 2009 the FDA released a follow-up study that found lead in all samples of lipstick tested, at levels ranging from 0.09 to 3.06 ppm – levels four times higher than those found in the Campaign study. The FDA found the highest lead levels in lipsticks made by three manufacturers: Procter & Gamble (Cover Girl brand), L’Oreal (L’Oreal, Body Shop and Maybelline brands) and Revlon. So far, the FDA has failed to take action to protect consumers. An expanded FDA study in 2010 found lead in 400 lipsticks at levels up to 7.19 ppm. Five of the 10 most lead-contaminated brands in the FDA study are made by L’Oreal USA. See the brands FDA tested here. The amount of lead considered safe? ZERO parts per million. It’s a neurotoxin we expose ourselves and those we kiss. Think it’s cute when your kid plays in your makeup? Would it be cute if they were playing with paint chips in your grandparent’s farmhouse? Outraged? 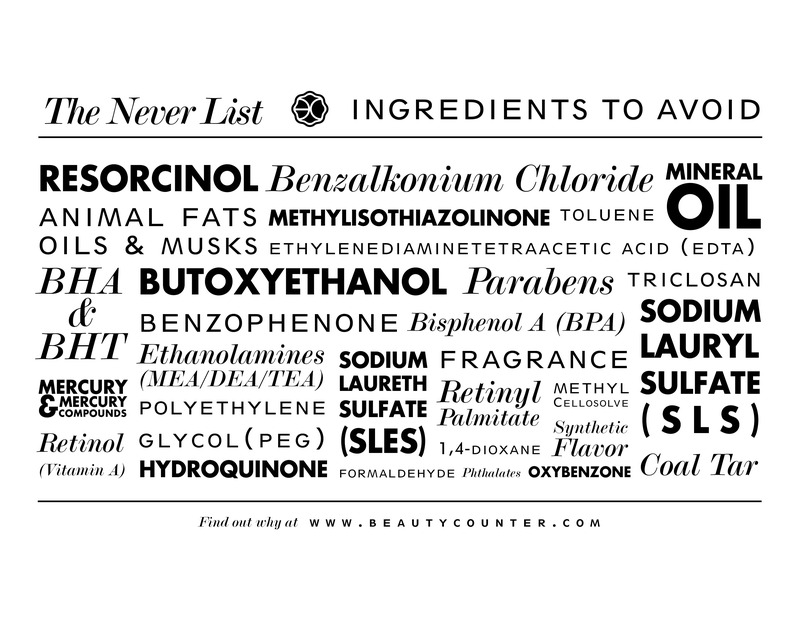 Support companies like Beautycounter who offer great products without lead or other heavy metals. Our Never List is our commitment to transparency and safety, and our focus on quality without toxins sets us apart.